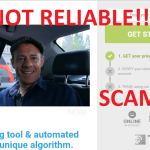 Millionaire Trader Software Review - Avoid This Scam! Binary Options Trading can be a great source of income for traders, and there are any traders who have already created their image in the global market. However, they had started from the zero. But there are some stories of failures too. Most of the failures in the Binary options trading are spotted by the reason of being scammed. A scam software can be the most dangerous culprit to drag you down to the streets with no bucks left in hand. 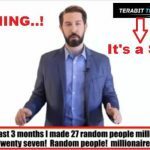 In this article, I am here to review as well discuss such a scam software called Millionaire Trader Software. Millionaire Trader Review: What is inside? Millionaire trader is one of the most common scam software we can see on the web nowadays. 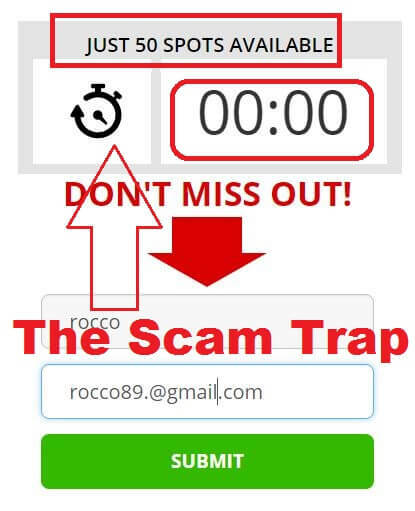 The Scam tool has been spotted while luring novice traders online with their unrealistic claims very recently. Similar to many other scam software available out there, millionaire trader also holds many illogical factors in it. We have done our best to find out the dark sides of this appealing software before it seduces many more newbies. Why is Millionaire Trader a Scam? As I have earlier referred this software as a scam tool, now you might think, why I said that. Well, I have got pretty enough reasons for calling this software a PURE SCAM. So, let’s break them down one by one. The very first thing that caught my attention as soon as I entered the official website of Millionaire Trader scam is the integrated available spots. It was sighted that there is total 50 spots available in the system. And there is no country name mentioned in the phrase. So, it is literally meant that the 50 spots available are in the sense of worldwide. Here is a big suspicious element to be encountered. How could be only 50 spots available in the entire world and the number remains same. No counting down of the number seemed to be spotted rather than the stopwatch for creating curiosity and convince for registration. Here is the deal, I have simply closed the website and did my regular stuff all the day. After 24 hours, I have checked out the website once again. And, guess what, the 50 spots available I have seen 24 hours before remains the same. Not even a single spot was grabbed within a day, not a single trader likely to be interested in this system from around the world? Well, this is not the case. The trick is, there were NO limited spots. The less number of spots and the counting down stopwatch was just created to force you thinking that you are about to lose the opportunity if you don’t register to it right immediately. This is a pure sign of 100% scam software. The Limited Time Offer: But seems to be unlimited! The above-mentioned point will be incomplete if I don’t mention this one. The counting down stopwatch located just below the available sighted spots counts from about 13 minutes as soon as I entered the site. There is even an instruction for sign up, and registration before the countdown stops. In the meantime, the countdown actually ends at zero. Ultimately, anyone would think that they got only a few minutes to grab the million dollar chance and take an instant action to get registered. Well, I say, this is an old trick to manipulate the users. As a part of my analyzation, I have waited to the end of that countdown. I wanted to see if the limited offer really disappear after the clock stops. As expected, finally the countdown stops; and proceeded to sign up afterward. Hallelujah! They accepted it! Well, I was not really surprised. In reality, the entire thing was created just to convince people that the opportunity is really about to end. This is another red flag to avoid the software. Let’s drag out the alleged owner of the Millionaire Trader – Mr. Oliver Miller. This guy in the promo video claimed to be an ex-employee of a Bank. Now the owner this so-called money machine software. The story of Miller to get hands with this software itself an interesting to gossip about. Before I even listen to his story, I wanted to clarify his existence in the real world with this identity. I searched for his profile and bio throughout various social websites as most of the people are using one or other social media platforms in this generation. As I was expecting, I did not find anyone with this looks and identity in none of the social media platforms like Facebook, Twitter, LinkedIn, Google Plus, etc. This is another indication of the fake identity of Oliver Miller. Well, I couldn’t be sure whether he is a paid actor like many other scam websites have got. Hence, we can’t trust someone whose identity is hidden and yet offering you to earn million of dollars. Here is the story of Millionaire shared by Oliver Miller during the promo video. While I was very much suspicious about his true identity, this guy helped to be confident about his fake identity. As a part of the promo, the owner of the scam system tried to give a shot at proving himself as a common guy got lucky. His story begins, once he was working in the Bank, he helped someone to make a wire transfer with a huge amount. In the return of his favor, he was gifted a Pen Drive with instruction to open that after a month. Following the instruction, he found out a quick money generating program inside that drive lately. Now, the program is developed into the Millionaire Trader software. If you could believe this kind of story, no one can save you from falling into the well of scam. 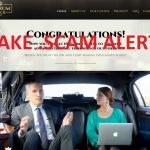 Verdict – Millionaire Trader seems to be a scam. 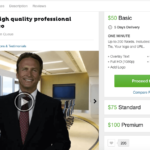 According to the fake owner Oliver Miller, Millionaire Trader software has been generating around 10,000 pounds weekly and 60,000 pounds per month. This kind of unrealistic alleged earning amount from an automated trading software itself a pure sign of a scam. No one ever made such kind of high amount of profits simply using an automated software and investing the lowest amount of money. I will definitely recommend you to avoid this scam and stay safe from becoming bankrupt. 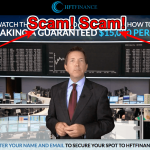 HFT Finance Review – Another Scam? Yes! Find Out Why!